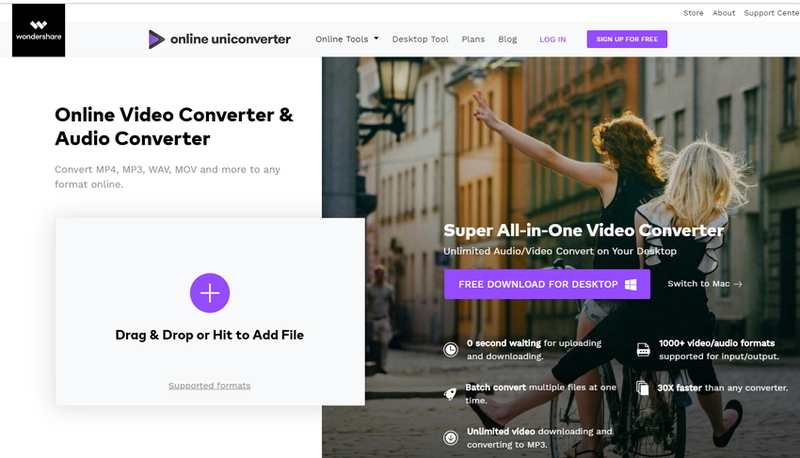 Convert AIFF, M4B, M4R and over 1000 audio formats to MP3. Play any video/audio files with the built in player. Google Play Music has been officially released for a while. As to our test and use, there are many advantages that put Google Play Music in a better competition position: free online space for up to 20000 songs, high quality 320kbps tracks, free song offers, friendly web player and easily sharing to Google+. Well, Google Music has also falling grades. For example, it doesn't support these popular audio formats in Mac: AIFF, M4B, M4R, M4P, etc. So if you have decided to switch to Google Music, these are the problems you need to fix. And you are now in the right place. Follow easy steps to convert AIFF, M4B, M4R to MP3 that are fully supported by Google Music (up to 320kbps bitrate). Wondershare Google Music Converter would be used to coinvert music files for uploading to Google Music. Follow these easy steps to turn all popular Apple formats to MP3 which are fully supported by Goolge Music. Note that DRM copy-protected M4B and M4R files are not supported. 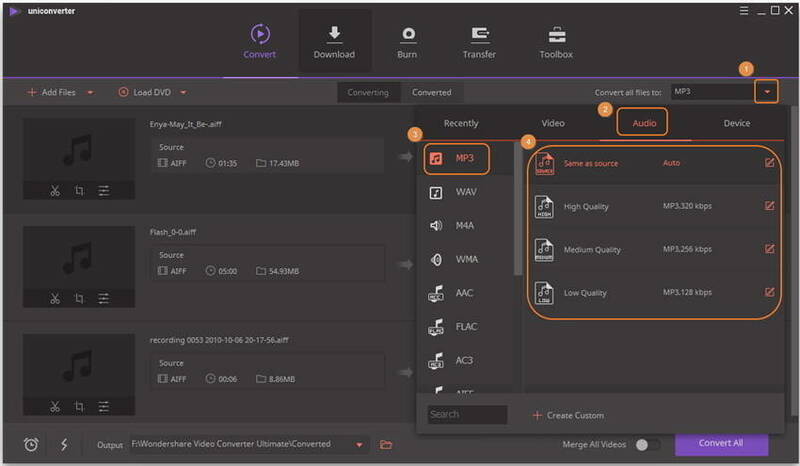 Launch Wondershare Google Music converter after installation, then you'll have 2 choices for adding audio files to the converter: click in the upper-left or directly drag your desired AIFF, M4B, M4R or other audio files to the primary interface. 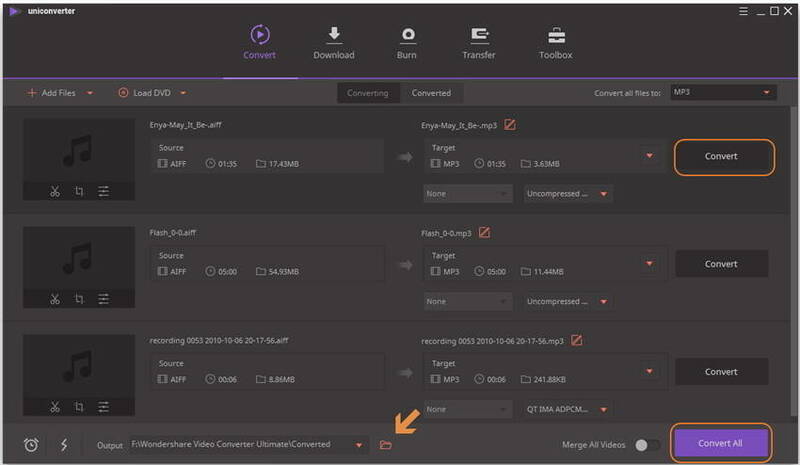 Click in the right of Convert all files to:, then go to Audio > MP3 and select a quality to confirm MP3 as the output format in the pop-up dialog. Note: If you want to adjust the bitrate of the output MP3 music files, just click + Create Custom to get the further setting window. Then you can click the Gear icon at the lower-right bottom to choose the bitrate for the output music files. 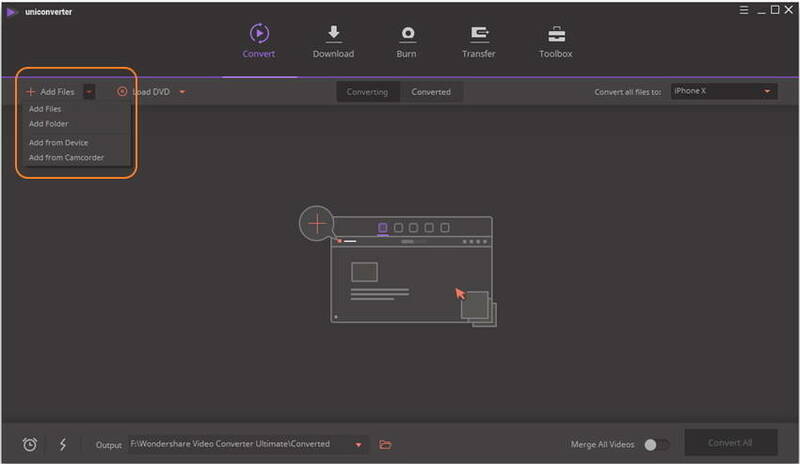 Now click on Convert when everything is ready, and Wondershare Google Music converter will start converting all the loaded AIFF, M4B, M4R files to MP3 format. When the conversion finishes, you'll get the notice of sucessful conversion. Then you can click the folder-like icon in the bottom (as pointed in the screenshot) to locate the converted .mp3 files. Note: If you can't import M4B and M4R audio files to Google Music converter, they are probably FairPlay DRM copy-protected. You could play it with iTunes to have a look. iTunes will ask you to authorize your computer with the accound you used to purchase M4B and M4R with DRM copy protection. What's AIFF, M4B, M4R, M4P? AIFF, short for Audio Interchange File Format, is originally developed by Apple Computer company. AIFF stores CD-quality audio in a non-compressed, lossless format, similar to .WAV format. AIFF files usually have .AIF extension name in Windows systems. M4B and M4R: M4B is the extension name of Audio Book files that are downloaded from Apple iTunes Store. M4R is the custom iPhone ringtone files. Both of them may be copy-protected using Apple's FairPlay DRM. iTunes songs that include copyright protection have an .m4p extension which is also not supported by Google Music, but you can convert it to MP3 using this media.io online converter to put on Google Music.